- Cats and bats and spiders... oh my! 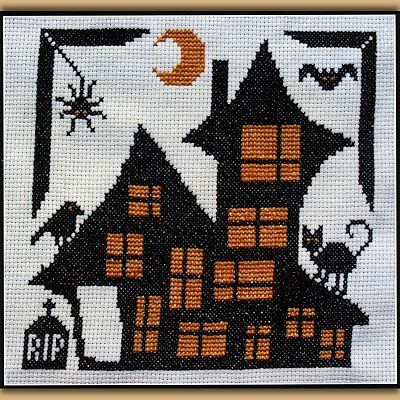 This cute little haunted house is bursting at the seams with all kinds of crazy critters. Design measures 86 stitches wide by 78 stitches high, and requires only two colors of floss. 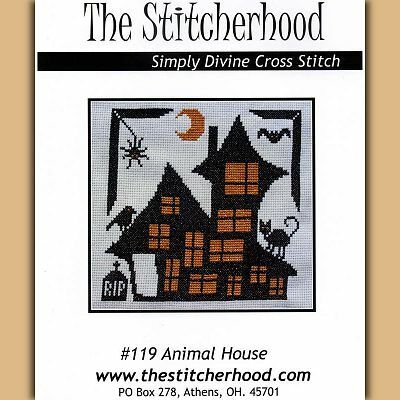 Do you have any other questions about our Animal House Cross Stitch Pattern?